Well our national elected officials decided to go on vacation without finishing up much of anything. The Farm Bill is still pending. This also affects the Food Stamps and school nutrition programs. They also have not finished the federal budget. The current budget expires on September 31. That is the same date that the current Farm Bill also expires. At least the House and Senate did take action on the Student Loan rates which were scheduled to double from 3.4% to 6.8%. The rate was increased slightly to 3.9% and only affects NEW Federal Stafford Student loans. Any existing Federal Student loans would not see rate increases. Our National Legislative Director, Grace Boatwright, recently mentioned two other bills at the national level that she has been watching. National Grange is concerned how both bills will affect the expansion of broadband in the rural areas. This has been a National Grange focus for a few years now. The first bill is the Internet Tax Freedom Act or IFTA. This bill would call for a ban on state and local taxation of Internet access itself. Presently there is a law banning such taxation which will expire in November 2014. If this ban expires then Internet access would be able to be taxed like other communication services presently are. Think of all of the taxes and fees that the many phone services presently have. Boatwright mentioned that consumers could see an increase as much as 25% in their Internet bill. She feels that these additional taxes would hinder growth of broadband in rural areas. The second bill is the Digital Goods and Services Tax Fairness, S.1364. This bill would affect any digital goods and services including phone apps, ringtones, music, movies, e-books and video games bought and downloaded online by electronic means including computers, tablets or phones. The bill will create a national standard framework for taxing of digital goods and services. As an example, you purchase an e-book from an online service. The download of that e-book may bounce across many different servers in many states before it arrives to your e-reader. What if each state that your e-book went through was allowed to charge a tax on your e-book as it passed through. This could greatly increase the cost of your book through “stacked taxes”. The proposed bill would allow the consumers residing state to be the only one allowed to tax the digital goods. 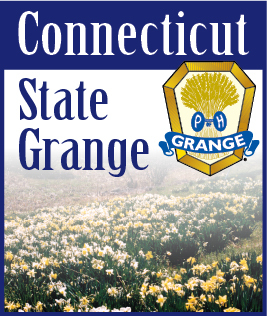 Remember, if you have any issues that you would like to have the State Grange address then submit a resolution to your local Grange. Resolution should be passed from your local Granges to your Pomona Grange before passing on to the State Grange. All resolutions need to be submitted to the State Grange office by September 15 to all time for preparation for State Grange.